Available on GSA Program Pricing - Call or Request Quote! 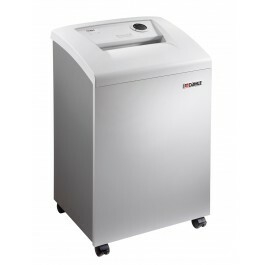 All the benefits of air filtration, cross cut security and automatic shut off in an NSA/CSS approved shredder. This Dahle machine is ideal for contractors, agencies and US Armed forces. 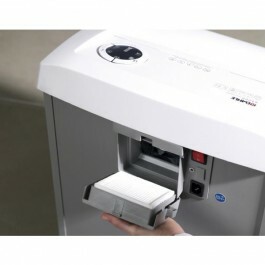 The Dahle 41434 Office High Security shredder is designed for military, federal, state or local governments as well as Department of Defense contractors en­gaged in projects where National Security is an issue. This Dahle 41434 is NSA approved for NSA/CSS Specifi­cation 02-01 capable of reducing a sheet of paper into over 15,500 tiny particles. Designed to be used in a larger office for the de­struction of top secret documents, the Dahle 41434 is built with a 10 1/4" feed opening to accommodate both letter and legal size paper with ease. It has full electronic capabilities including Automatic Shutoff when the cabinet door opens, Auto Reverse to prevent an over feed, as well as Automatic On/Off and Bag Full Auto Off notifications. Peak shredder performance is ensured with the Dahle EvenFlow Lubricator automatic oiling system. Revolutionary SmartPower Energy Management System reduces power consumption after ten minutes of sitting idle, and completely powers down after an additional 20 minutes of inactivity, saving electricity. Dahle’s shredders are German Engineered using the latest technology and finest ma­terials. 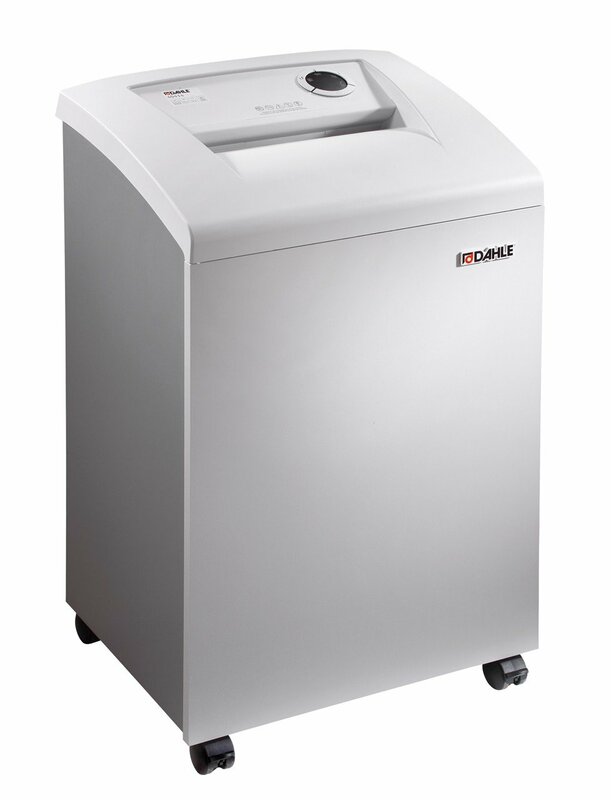 The end result is a quality machine and peace of mind in knowing your Dahle shredder will provide many years of trouble free operation.